Every winter I seem to get into a particular soup and try many riffs of the same recipe. One year it was Italian Wedding Soup, the next a Greek Avgolemono and the other a Pork Pozole. 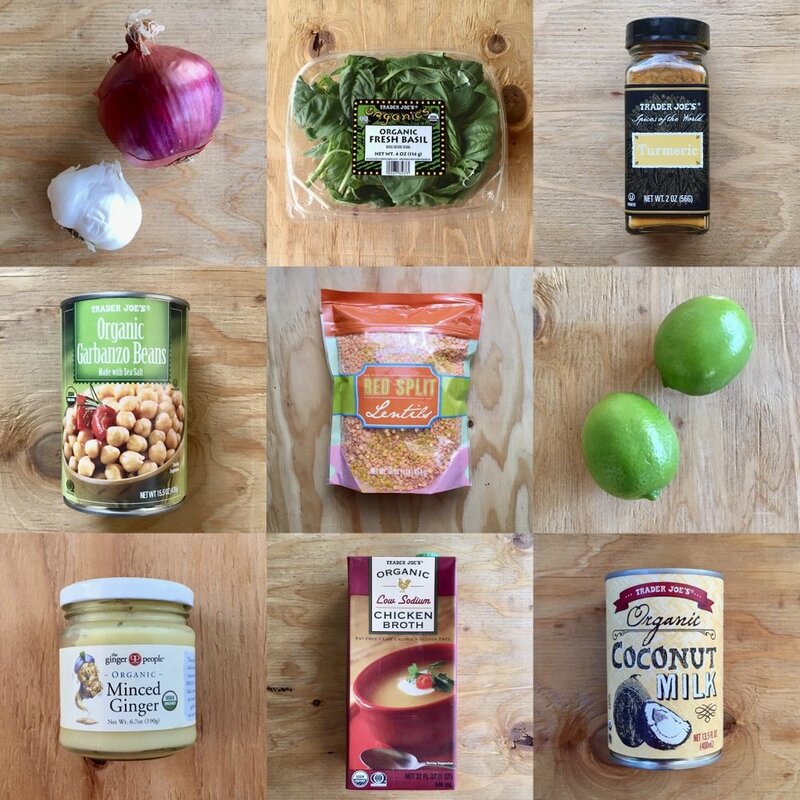 This winter is this Basil Turmeric Soup with Chickpeas and Red Lentils soup we find extremely satisifying and nourishing. Enjoy! 1. Heat olive oil in soup pot. Add in diced red onion, shallot and garlic and sauté. (If you only have onion and garlic that is okay as well). Then add in ginger, red pepper flakes and turmeric and mix well. 2. Add in your chicken broth and then lentils. Season with kosher salt and fresh ground pepper. Let cook covered for 10 minutes. Then, add in your chickpeas, lime juice and can of coconut milk. Let simmer uncovered another 10 minutes. 3. Ladle soup into bowls and top with fresh basil and mint. We also like topping this with red cabbage or a little radish.